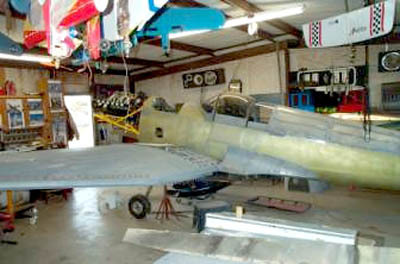 SUPERMARINE SPITFIRE BEING BUILT BY BOB MEARS, POWERED BY A MAZDA 20B 3-ROTOR WANKEL. THESE LINKS WILL DOCUMENT THE CONSTRUCTION. Button added for First Start Video!!!! This article appeared in the EAA magazine. I�ve messed with rotary engines for 30 years. I raced them in dirt cars, drag cars, SCCA cars, model airplanes, and go-karts. I was a hard-core Chevy guy when I was young and doing some drag racing. Then I went to work for the local Mazda dealer. 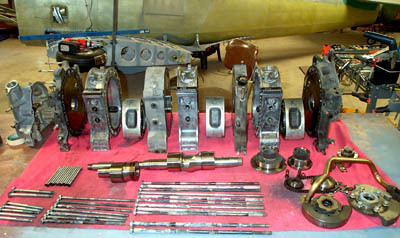 The first time I disassembled a rotor motor I was in love. I wondered why in the world I had been messing with all those parts. My brother and I immediately built an RX-2 for the drag strip. We wowed everyone with its wheel-standing launches, unbelievable noise, and low engine temperatures. Later we built a Cosmo for the dirt track. We won so many races the tracks banned rotaries from racing. So we built SCCA cars, RX-3, RX-4, and a rotary truck. (It�s amazing how you can make a truck handle). Later it was back to the drag strip with another RX-3, an RX-7, and a dragster, all supercharged. All that time I wondered why no one had put these engines in airplanes. As I got older and gave up the racing scene, I always thought I would build an airplane with a Mazda rotary and wow the world with this new innovative idea. Mind you I�m not a pilot, and I don�t hang around with the airplane crowd. So about four years ago I decided to enlighten the world with my fantastic idea. I hit the Internet for some research about experimental aircraft. Holy Wankel, Batman! These rotor motors are being used all over the place! Who knew? Then I find Tracy Crook�s website (noted rotary guru) and discovered he manufactures most of the parts I needed for my venture. I got really excited. During all those years of racing I tried and tried to get Mazda to help me get a three-rotor engine here in the United States to race with (the engine is popular in Japan and Europe, but was never installed in a car destined for the U.S.). It never happened. Now I go to eBay, and there they are! Let�s find a plane! 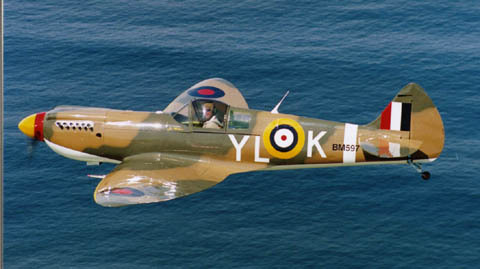 Being that I�m determined to have something different, I found a Supermarine Spitfire. All metal, 80 percent scale, and perfect for a 20B. The kit was delivered, and at that time it was only one of two here in the States, and I got started on it. 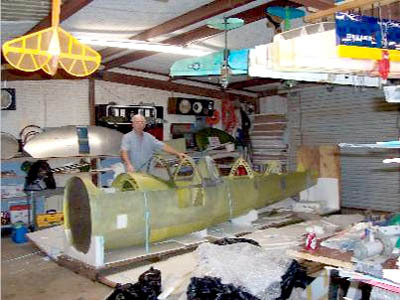 The fuselage freshly uncrated, as shipped from Queensland, Australia. I purchased a 20B on eBay and was anxious to begin dismantling it; years of anticipation came to a head the day I took delivery of it�a dream realized from those racing years, and now it was in my garage. It was a lot of fun to overhaul the 20B since I hadn�t even looked inside a rotor motor in 15 years. I was worried about splitting the shaft, but it was a nonevent. The engine was so nice inside that I almost hated to take it apart. The Wankel engine is elegant in its simplicity. dependably from such a compact box with so few moving parts? I debated over the porting options I was going to choose since I tried so many different ones over the years, with varying results. 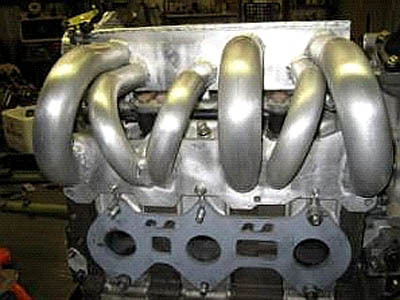 One of my favorites was a P-port with working side ports, but the intake manifold is a real bugger to make. Since the Spitfire was designed for the eight-cylinder 5,100 cc Jabiru engine, rated at 180 hp, I decided to go with just a mild street port designed for a naturally aspirated induction system, and shooting for about 280 hp should be ample. Custom aluminum intake runners and plenum for the three-rotor 20B. 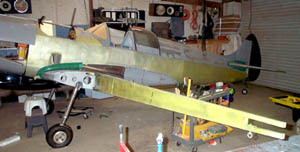 Progress has been steady on both the airframe and engine. The first start of the engine was on February 1, 2008. Initial run-ups have been pleasing and satisfying, but not without some minor hiccups. I�m certainly worried about noise as I had to replace the floor in our RX-3, three times a year; the exhaust noise would sonically destroy the floor boards. I sure hope it don�t destroy my aluminum airplane! Tracy Crook and the gang at the FlyRotary e-mail group (www.FlyRotary.com and http://Mail.LancairOnline.net:81/Lists/flyrotary/List.html) have been very supportive and helpful. It�s fantastic having the Internet for information. I�ve read every rotary site I can find. John Slade�s site (also see CONTACT! Magazine�s issue #87) really got me excited. And I really liked how John wrote his experiences in a blow-by-blow story. So I did my web page the same way. 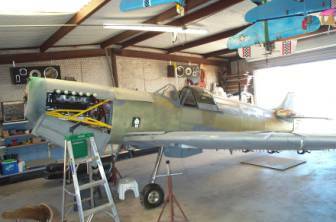 I�ve since joined EAA and have been to Sun �n Fun and the Rotary Roundup in Texas. My excitement level is still high, but my time schedule is just as tight, so I�m not moving at the pace I would like to. And somewhere I must find the time to take flying lessons. 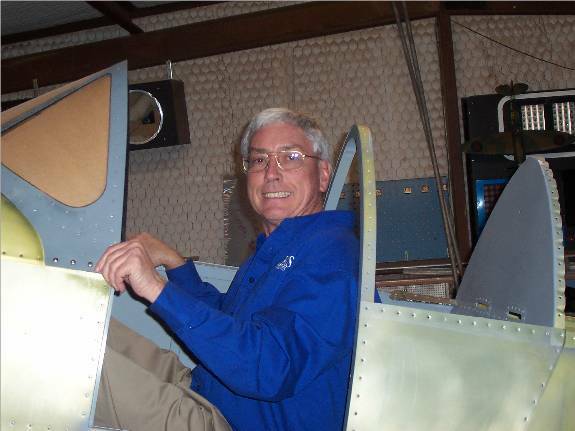 First pic of Builder/Future Pilot - Bob Mears in the cockpit! 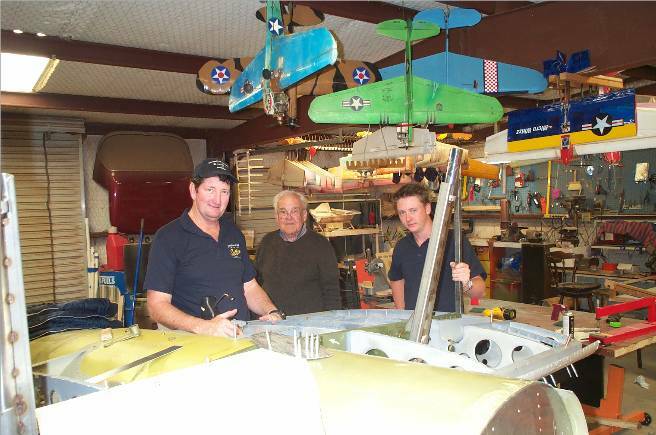 Team Supermarine: Michael O'Sullivan, Owner of Supermarine and sidekicks, George and Clint. Assisting the U.S. project in Lubbock, TX.